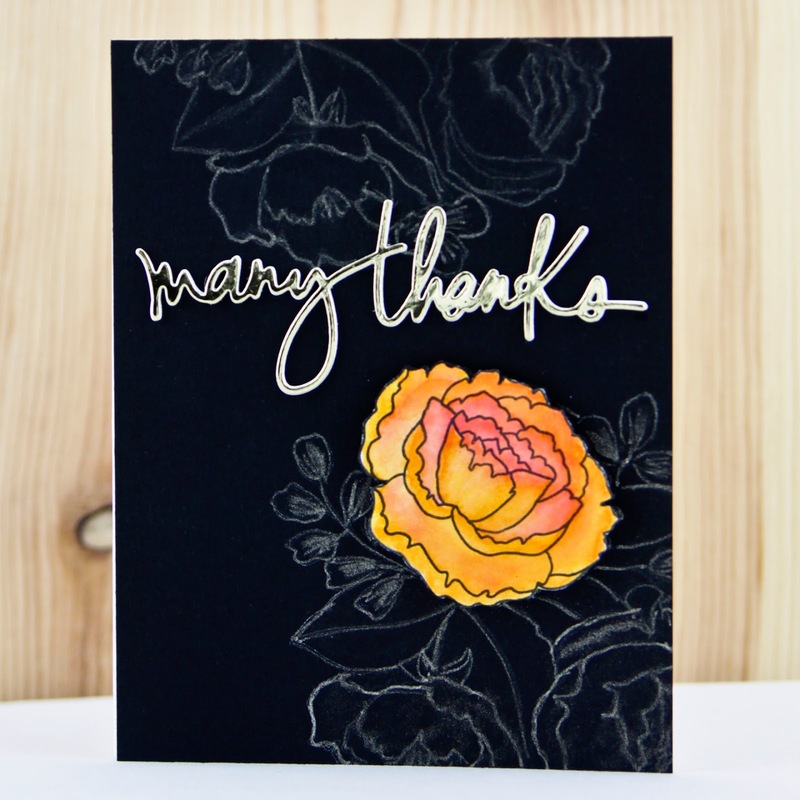 Today I'd like to share my 2nd card this week using the Organic Blooms set by Mama Elephant. I love this set and I love the faux chalkboard technique I'm using today! 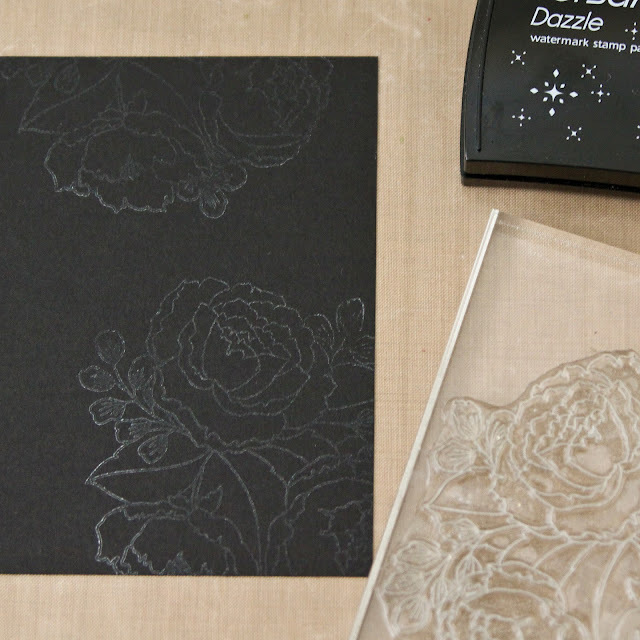 To create this card, stamp the blooms in Versamark Dazzle. 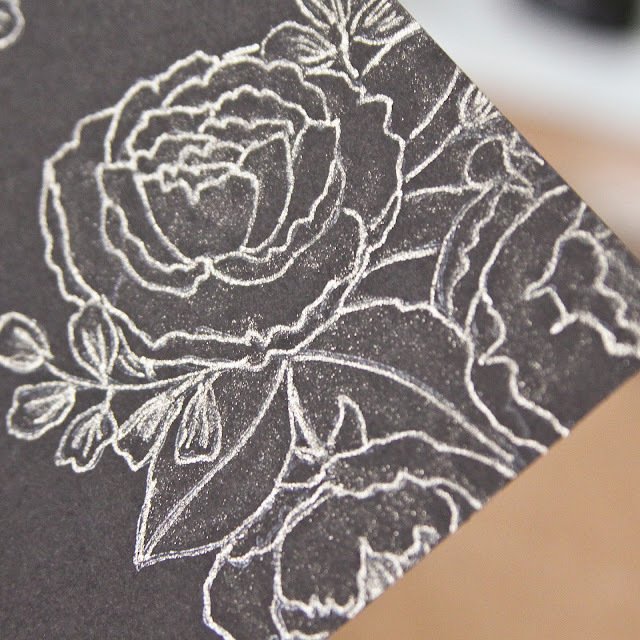 Trace over the stamped image with a Stardust glitter gel pen. 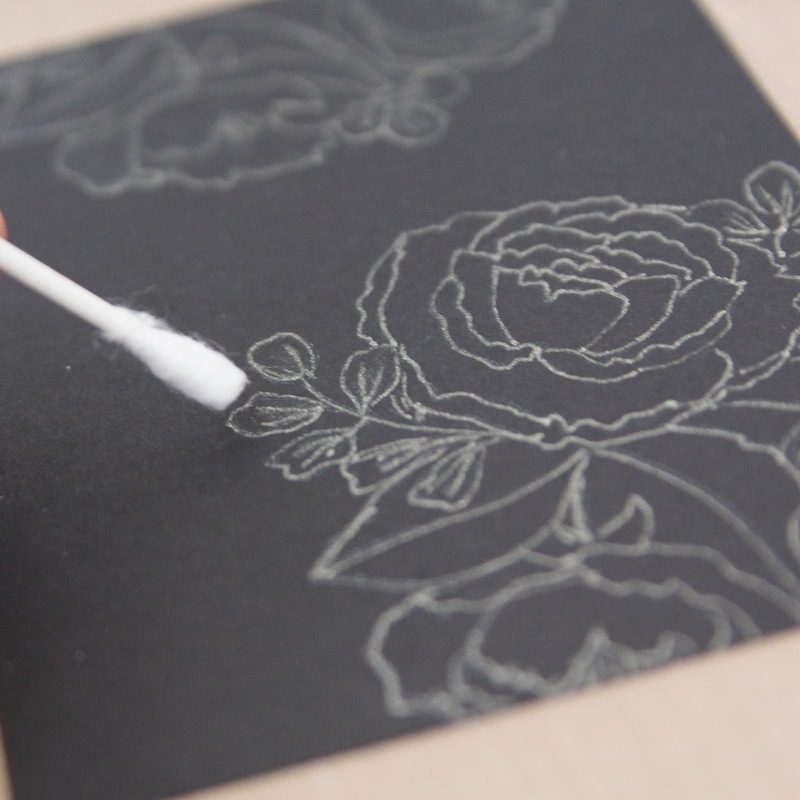 Use a cotton swap or your finger to smudge the Stardust ink. 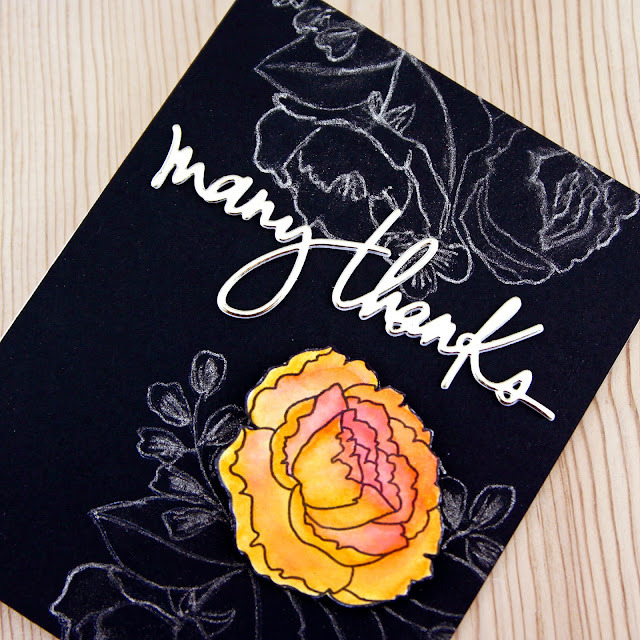 Repeat until you love the glittery, chalkboard-like effect. 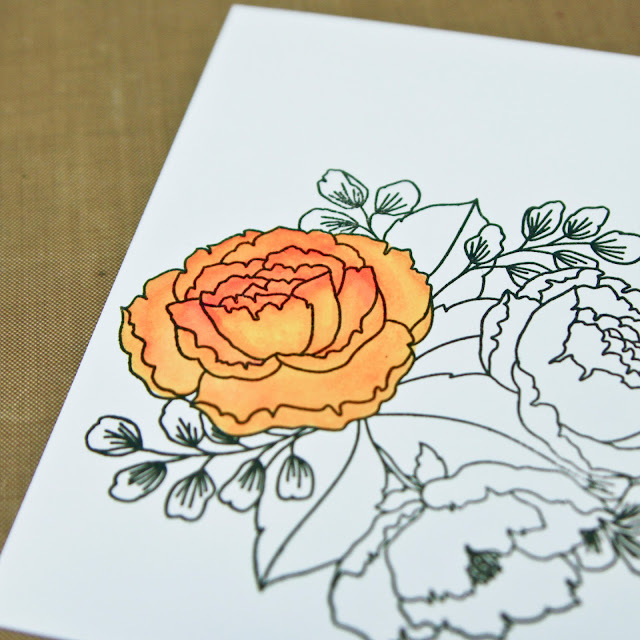 Stamp bloom again on smooth watercolor cardstock like Bristol and color with Clean Color markers. 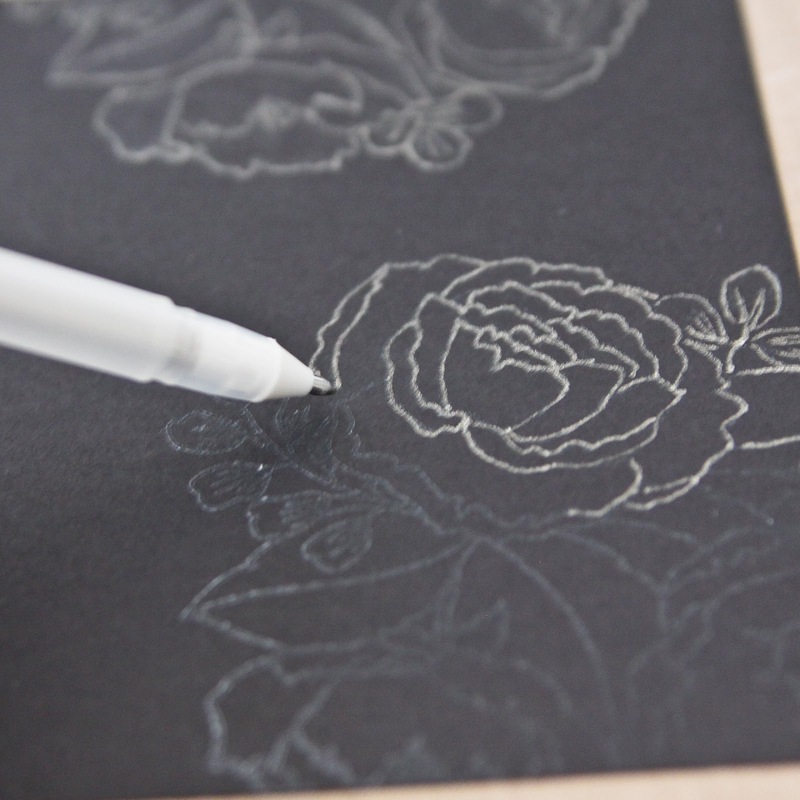 Cut out colored flower and 3-D mount over chalkboard. Create sentiment by layering die cuts. 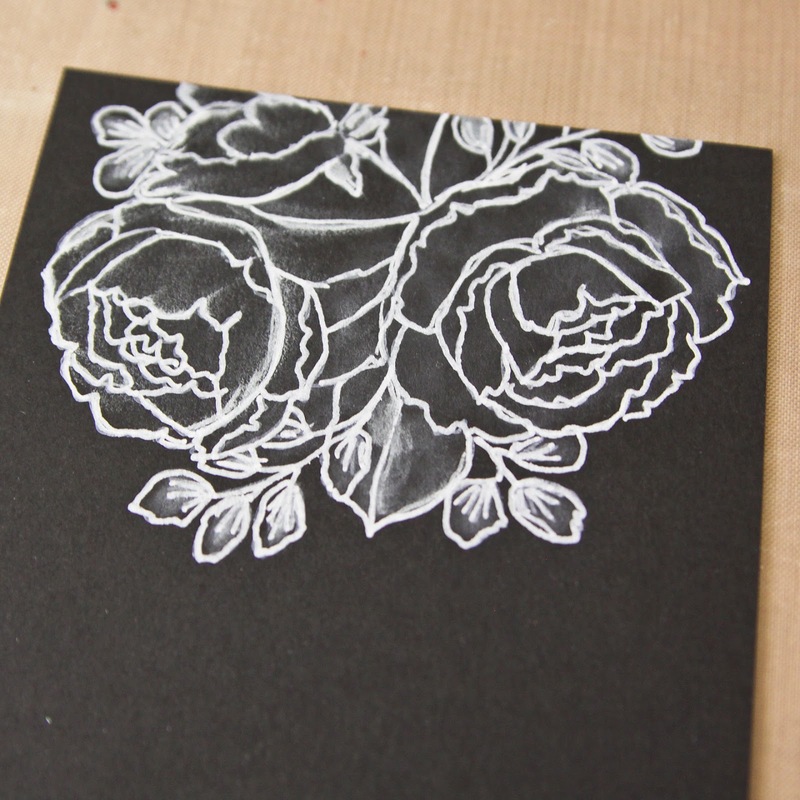 I find a Quickie Glue pen works great for this.